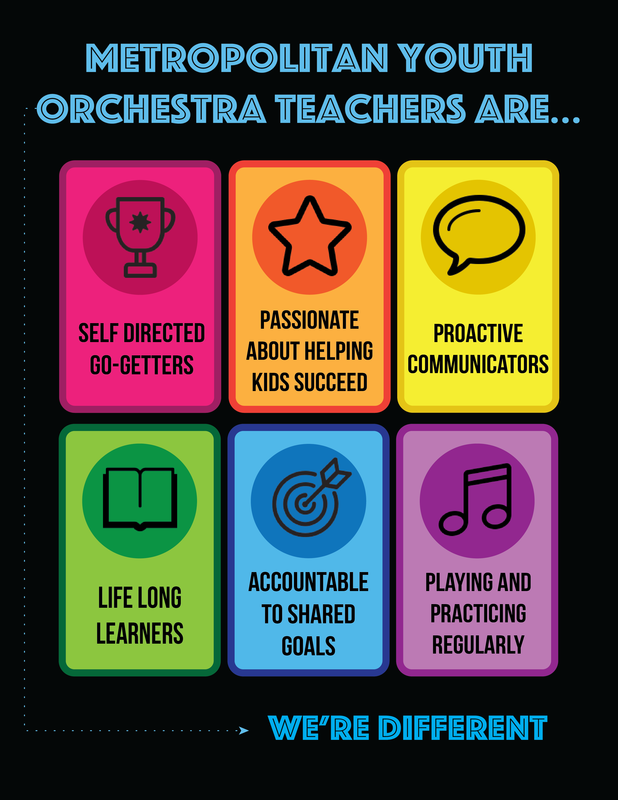 The Metropolitan Youth Orchestra is always looking to add dynamic teachers to the faculty. Candidates who apply and meet the basic qualifications will be contacted for a phone interview, followed by an in-person interview. Candidates in final consideration will be brought in to teach a lesson or conduct an ensemble. For more information on open positions and qualifications, check out our personas below! To apply, send your resume and cover letter to MYO@IndianapolisSymphony.org.